Hi! 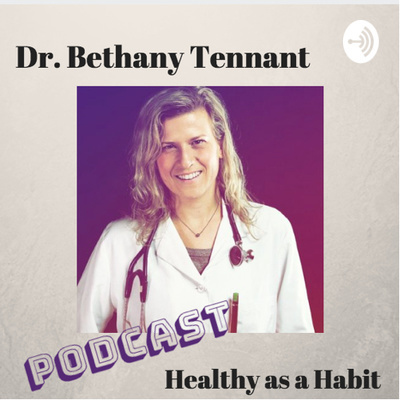 I’m Dr. Bethany Tennant and I’m inviting Practitioners and Professional guests (health, wellness, sports, and lifestyle) to share their journey and the work they are passionate about. I’m excited to feature content to both educate & inspire, healthy as a habit. Join as guest Jeron Mastrud shares his passion for helping athletes return to sport, his own journey in sport and business along with his Superbowl insights! Join as Dr. Meagan Purdy shares her journey to become a Naturopathic Doctor and now founder of Holistic Health Center of Dallas. She shares her passion for personalized botanical medicine through teas and tinctures. Choppin it Up with Private Chef, Kenny James. Growing up in sports, Private Chef, Kenny James nows spends his grown up life, using his passion for cooking as a private chef to NBA & NFL clients. Join as he shares his journey. Join as guest Dr. Amanda Westfall (podiatrist & former collegiate athlete) shares her passion for feet and exercise in this episode! Join as guest Dr. Rachel Oristano shares her passion for helping mental resilience with natural therapies. Join as guest Anthony Thomas, professional Long Driver, shares how he juggles life through adventure and gratitude. Guest, Brandon Gaston shares his passion for fashion and how it can impact business, branding and health! Learn about Dr. Casey’s personal healthy journey influenced her current practice. She shares her passion for balancing hormones and the nervous system. Stretching the Industry, with yoga for athletes expert Taryn Burns. My guest Taryn Burns shares her journey from beginner yoga to now teaching classes to Harvard’s student athletes. Learn how this practice can be a healthy habit! Learn from my guest, The Mad Scientist, Siddharth Sharma! A strength and performance expert based in Arizona learn how he works with athletes and what is he focuses on for healthy as a habit. Intro Launch- learn about the host Dr. Bethany Tennant and what to expect in episodes to come!